Please call us at 414-962-7477 if you don't see the appointment type or availability you are looking for. My goal is to establish lasting relationships with patients and families to help them address short-term health needs and achieve long-term healthcare goals. 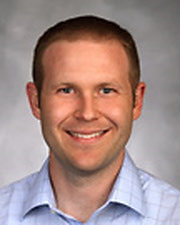 Dr. Blackwell earned his medical degree in 2011 at the Medical College of Wisconsin and completed his residency at the Columbia St. Mary's Family ... Read More Medicine Residency Program. He is board certified in family medicine and is committed to helping people of all ages maintain and improve their health, with particular attention to chronic diseases such as diabetes and hypertension. Dr. Blackwell is married and has two children.